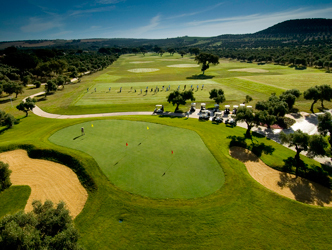 The course at Arcos Gardens is versatile enough to challenge top level amateur and professional players yet also user-friendly enough to accomodate daily member play. It does not have to rely on long rough to meet the challenge of tournament play. By strategically locating tees and hazards the course has wide, forgiving fairways yet still manages to place a premium on accuracy. Greens are of medium size with moderate, but not severe contour. The course contains a mix of bunkers creating a variety of challenges for players of differing driving distances. En av våra favorit Resort. De har bra golfpaket med boende på deras hotell eller villor. Kontakta vårt kontor för prisförslag.